In our final article about the photographers' agent Burnham Niker, we talk to owner and director Katy Niker who gives us an insight into what an agent does and how they work with clients on a creative brief. We represent our photographers mainly in the commercial world of advertising: promoting their work, generating commissions, quoting jobs, producing the shoots, billing the job and then chasing the money in! BN work with international brands, why do those clients choose to work with you? It is more that the advertising agency have chosen one of our photographers, because they are stylistically right for a particular campaign/client, but they are also choosing us, as their agent, for our experience and high production values . 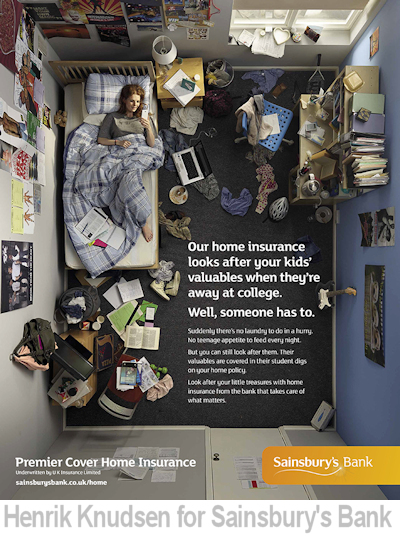 What’s it like to work with clients whose advertising has to have an impact on an international scale? It does become a lot more complicated, as you are trying to ensure lots of different markets, who are all putting monies into the pot for the shoot, are happy. It can mean that the concepts become more generic, a one size fits all, which will always lead to creative compromise. However, I think the bigger challenge is for the advertising agencies to come up with creative ideas that will keep all the varied markets happy! What’s the typical process for a commission from a client? i.e. brief, meeting to discuss brief, select photographer, etc. Initially the advertising agency will either call or email us with some basic information about a potential job for a particular photographer, (sometimes they will ask us who we think would be best for a particular project), and then we check availability of that photographer and then put them on option for them. We will then get a more detailed creative brief, usually inc. some idea of budget and usage. At this point we would ideally set up a creative call or meeting between the photographer and creative to discuss how they see the project and for our photographer to then discuss the most creative approach from their individual perspective. We would then quote the job and the photographer will put together a treatment for the project, based on this discussion. Most jobs these days are a 3 way bid and so the 3 quotes, along with the photographers treatment & work, (either a pdf, link to website or portfolio), along with the agency recommendation will then be presented to the client. It is also common that at this stage the 3 quotes will be put through either an agency or client cost controller. Finally we will get a call to let us know whether we have got the job. Are there any commissions that you would describe as a typical BN project? No, the nature of our stable of photographers means that the projects are really varied, which is how I always want it to be. Do clients let BN suggest a photographer or do they come with their own preferences? I would say 80% of the time the advertising agency are specific as to who they want to work with. However, sometimes a project could be taken in a couple of different directions and then they will ask us for our advice and recommendation. How much do the BN team get involved in the creative process of a commission? As the creative process goes hand in hand with how we quote and ultimately produce the shoot, we are integrally involved right from the start and all the way through. Can BN supply a package of creatives for a commission i.e. stylists, makeup artists, etc, as well as the photographer? Although we don’t represent stylists etc, we organise the best team of crew for each specific project and this will vary depending on the brief. After many years of doing this, we have a very extensive database of amazing people that we can bring on board for any type of project! Why do photographers use an agent? We do all promoting, quoting, negotiating, producing and chasing monies, so that they can concentrate on taking the best pictures they possible can for each client. Are BN open to photographers submitting their work to see if you are interested in representing them? We are always happy to see photographers and give advice, as long as we are not swamped with our own photographers productions, however I never want to become a supermarket of photographers and hence we keep our stable relatively small. As we also don’t have a high turnover of photographers it is rare that we are in a position to take new ones on. What do BN look for in the photographers you work with? I have to love their work, see something individual in it and a commercial translation for it, but I also have to feel that as personalities we are going to get on. There is no room for over zealous egos and at times we will need to work well together under pressure, so personality is very important too. How do BN find photographers? Like most established agents, It is rare that we go looking for photographers as we get approached by so many every day. How is CGI and filmmaking fitting in with your business’s photography core? Just like when retouching and then digital were introduced, they are other tools for our photographers to work with to get the best results. What do BN see in the future for commercial photography? Clients will always need to sell their products and want to sell more than their competitors, hence there will always be a need for some form of commissioned imagery. The approach and medium may change, but there will always be a brief that needs to be visualised. All images are © the photographer and used with permission. From our series of articles about photographers' agent Burnham Niker, we talk to newly promoted joint Director Alex Wilshire. Alex tells us about her career to date. Our interview with car photographer and director Simon Stock who tells us about his career and what it's like to shoot cars for a living. From our series of articles about photographers' agent Burnham Niker, we talk to the newest member of their team, Production Assistant Jenny Wickens. 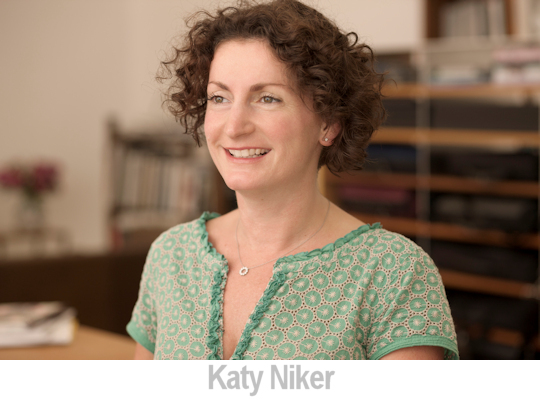 Continuing our series of articles about photographers' agent Burnham Niker, we talk to owner and director Katy Niker.